Tsurukamedou directly translates as The hall of Crane (tsuru) and Tortoise (kame), a name that the founder coined as he envisioned a place to cultivate the great spirit of these revered animals in the Japanese culture. The crane typically signifies martial prowess and the tortoise represents longevity. What has it got to do with ramen? While I don't personally see or relate to the crane and tortoise, I certainly can relate to the Hakata style, strong tonkotsu (slow-cooked, pork bones-based) ramen. Remember "the other" one, which could be said to have triggered the ramen craze in Jakarta sometime ago? A personal invitation from one of the owners who now manages the franchise like a full-time father, was an honour, which I couldn't answer to, until recently. 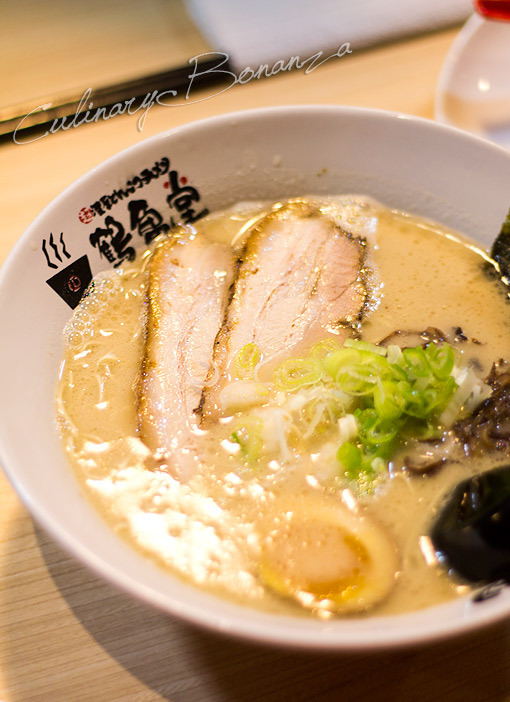 Tsurukamedou ramen opened for the first time outside Japan in November 2012, right at the heart of Greenville's famous F&B hub, also known as Taman Ratu. 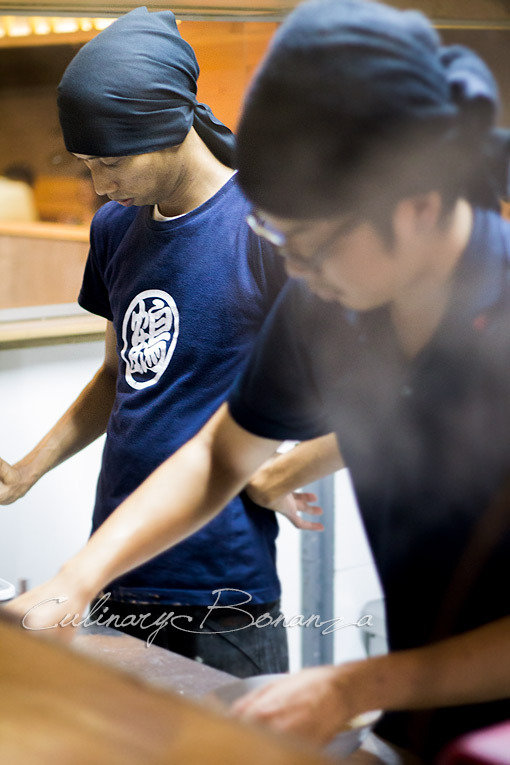 As a franchise from Japan, Tsurukamedou keeps everything authentic by using original ingredients imported from Japan, including the ramen chef...well he's not an ingredient per se, but nonetheless, an essential factor to create the authentic & rich ramen flavour. 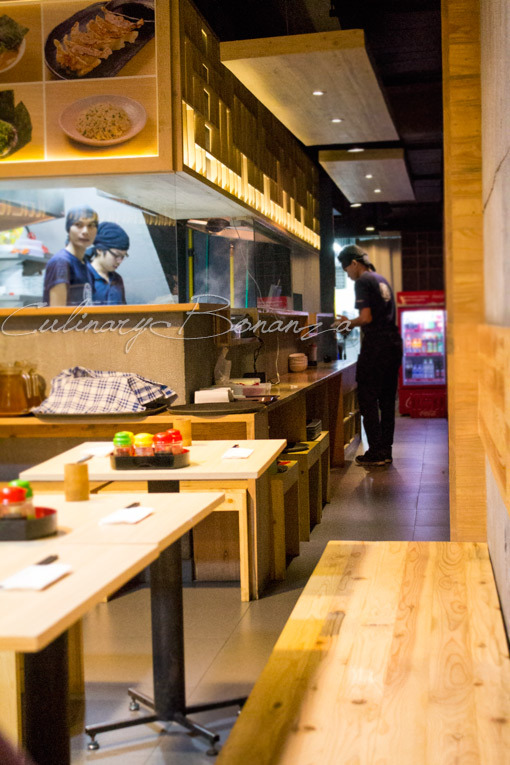 As we were talking about how Indonesian customers are so used to being spoiled with those convenient one-stop-for-all eateries, I concluded that to appreciate Tsurukamedou, you have to be a disciplined and focused customer. Focused in the sense that you come here genuinely for ramen and not for sushi or everything else. Nonetheless, Tsurukamedou has a trump card to satisfy those who fancy something other than ramen. So what is that special dish? Read further to find out. Fancy a guilty pleasure to start the meal? The Spicy Chicken Karaage will solve that problem. All this time I've only found original tori karaage. So I was intrigued when I saw the spicy version. The spiced crispy skin neatly wraps the succulent dark meat underneath (dark meat: the slicker meat from a chicken's thigh and drumstick). Slick! Grilled Ebi Gyoza. 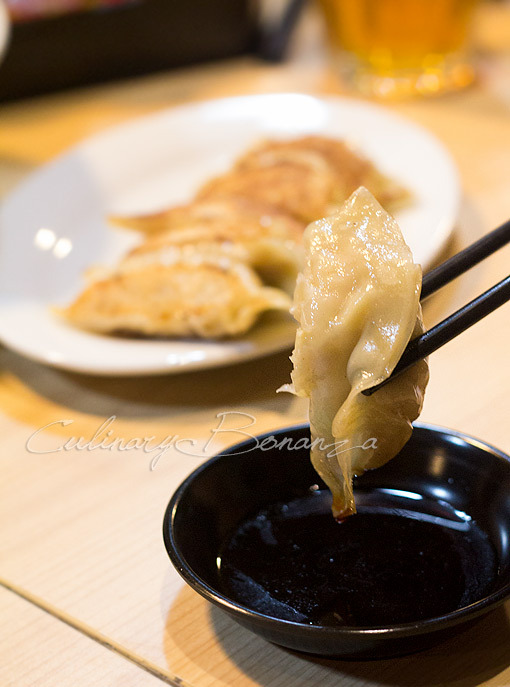 The gyoza has 3 variants: buta (pork), tori (chicken) and ebi (prawn). Tonkotsu Ramen is the signature here, comes served with 2 slices of succulent chasiu, tamago, a sheet of nori and other toppings. The broth is rich but still quite light. 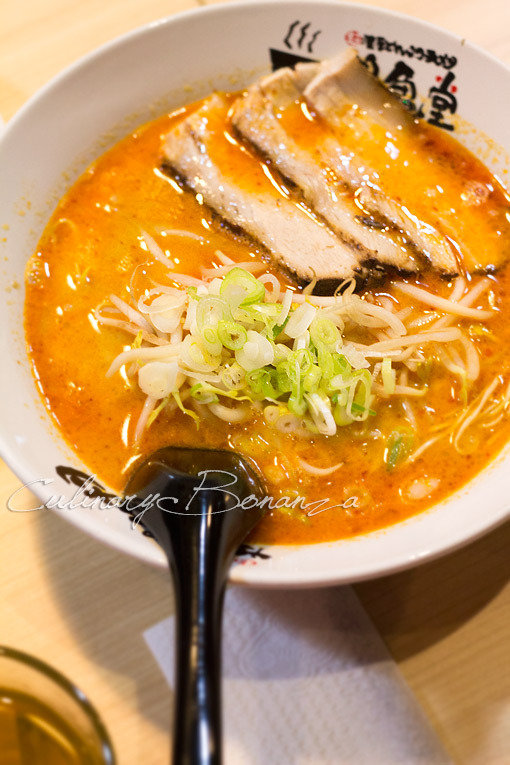 Tonkotsu Shisen Ramen is the spicy version of the previous ramen. According to the owner, the spices used has actually been adjusted to suit Indonesian palate. So if you're in Nagoya or other cities in Japan where there's Tsurukamedou, the Shisen Ramen would taste quite different. Buta Chahan - don't let the simplicity fool you, because your taste buds can't lie. 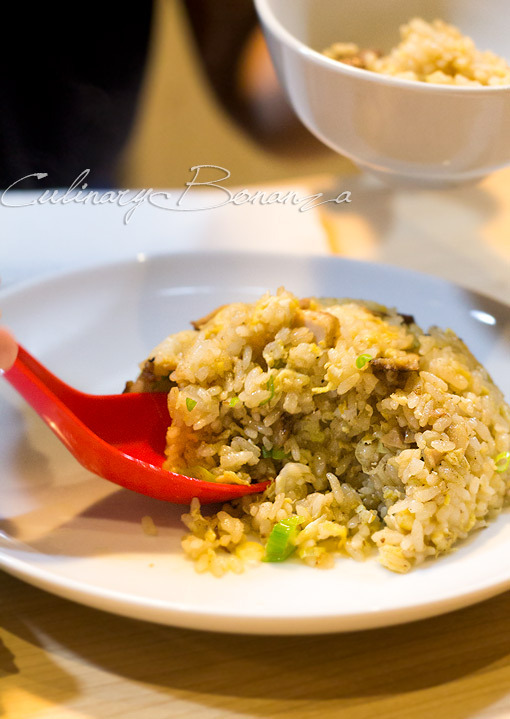 The pork Japanese-style fried rice is said to be one of the best seller items here. I couldn't contest that claim once I had the first scoop. The chahan was really generous for the price you pay; each scoop was a delightful mix of plump Japanese rice grains, with succulent pork chunks, egg and spring onions. I have been to another ramen place of about the same (physical) size, but I felt it was not worth repeating the experience. I'd say differently for Tsurukamedou though, as I personally feel it is a potentially strong contender to those ramen giants in North Jakarta. This ramen is currently the best in town for me. The broth is, oh my God, very delicate. The mouthfeel indicates that this broth really comes from hours of boiling pork bones. 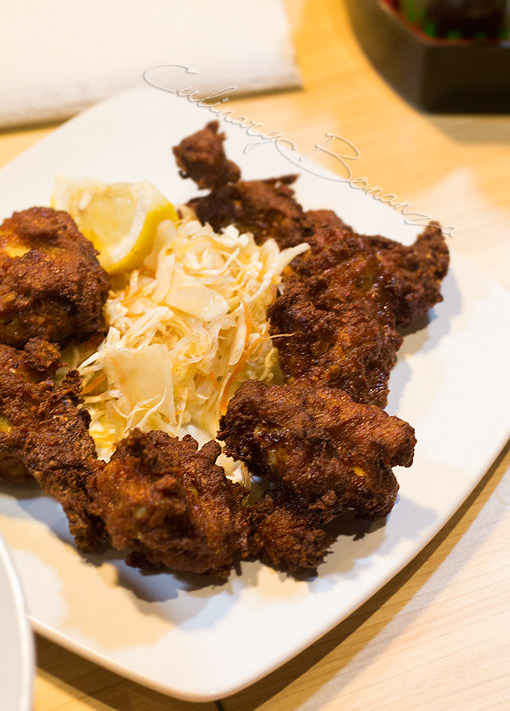 The karaage is also very succulent. Been back here 5 times! Aduh jd kepengen, tapi gak halal yah menu2nya. None of the menu fails you from the looks of it. Penasaran. Had been invited but never got a chance to taste em out. I guess I'm gonna have to do it soon.